This Shahsavan Design has been revived by James Opie. 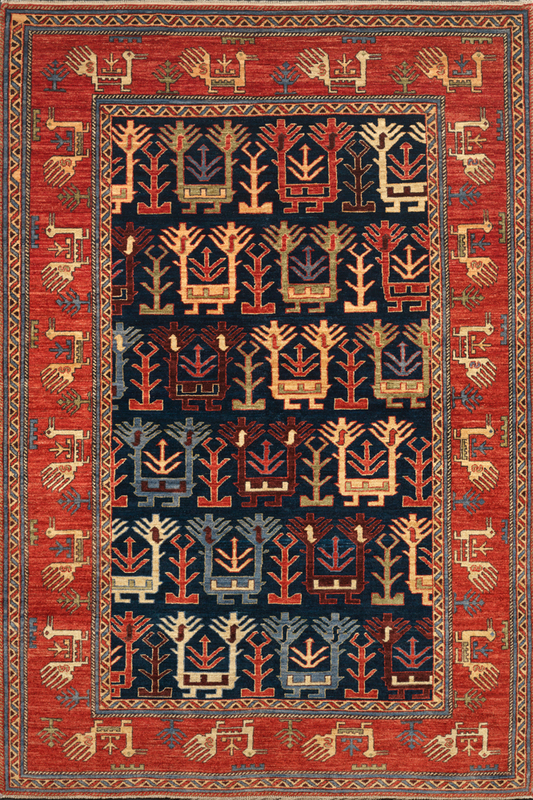 Hand knotted in Afghanistan from Ghazni wool and natural vegetal dyes. SKU: 34799. Category: Tribal Geometric. Tag: 5’x7’.